Book early for Christmas 2018! 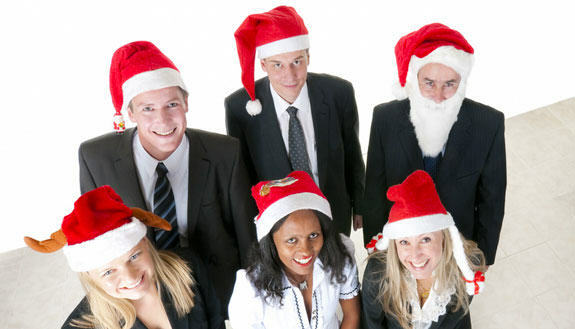 We’ll help you make your company or office Christmas party the highlight of your year! We offer a range of interactive, fun events and activities to transform the atmosphere of one of your most important events. Our interactive events are specifically designed to be enjoyed by everyone – regardless of age, language, culture or personality. A fantastic way to end the year, and thank everyone for their contribution. Please contact us now to discuss your Christmas event. Whatever your budget, location or number of people, we have the perfect interactive team event for you, and we are happy to customise any of our events to meet your specific requirements. We have our successful Christmas Carol Chaos event, which remains are most popular seasonal activity. Drumming. 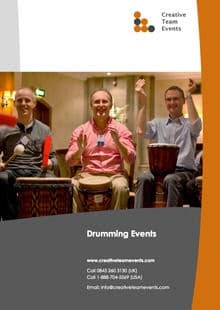 Transform the room into an amazing Christmas drumming spectacular, where your guests make the music! Haka. 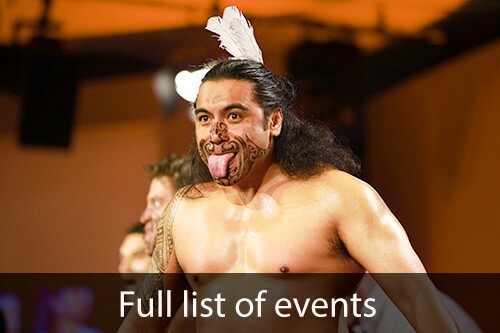 Learn the Christmas Haka dance with authentic Maori Masters. Crashing Waiters. Hilarious antics as the ‘secret’ waiting staff turn out to be undercover musicians that perform an amazing Christmas percussion performance using nothing but pots, pans and kitchen utensils, and then lead everyone into a inspiring finale. As we have so many different events, and are happy to provide customised events, please contact us now to discuss how we could help. We can provide a quote within an hour.